"With Brady and Goff taking up the lion's share of the book, take a flyer on running man Todd Gurley shaking off his recent knee niggles and securing the MVP plaudits at an attractive 14/1." There's something to be said for the greedy Super Bowl maxim of "don't back your preferred team to lift the Vince Lombardi Trophy, back their quarterback to win Most Valuable Player instead." And at much better odds, too. After all, QBs are invariably the fulcrum of any offense, and this pivotal position has only become more prized and protected in recent history. This year, New England's Tom Brady is 11/10 to land the award (whereas the Pats are 3/4 to emerge victorious). On the other side of the ball, Jared Goff is 9/5 (while the LA Rams are 23/20). Chances are, then, whichever team glows red-hot on the night, it will be their quarterback that records a red-letter day and scoops MVP. However, with Brady and Goff taking up the lion's share of the book, take a flyer on running man Todd Gurley shaking off his recent knee niggles and securing the MVP plaudits at an attractive 14/1. Unlike most outfits, the Rams' offense has been increasingly built around Gurley, not Goff. So, assuming reports of a return to rude health are accurate (the stud RB has had a fortnight to rebound), if anyone is going to star in the Rams' Super Bowl highlight reel, it's Gurley. For the past two campaigns, Gurley has become the definitive hybrid twin-threat. Only four rushers have run for a minimum of 2,000 yards over the course of those two seasons - and the 24-year-old heads them all for receptions (123), receiving yards (1,368), and receiving touchdowns (10). So, even if Goff has a gold-star day, Gurley could be capitalising on the catches. 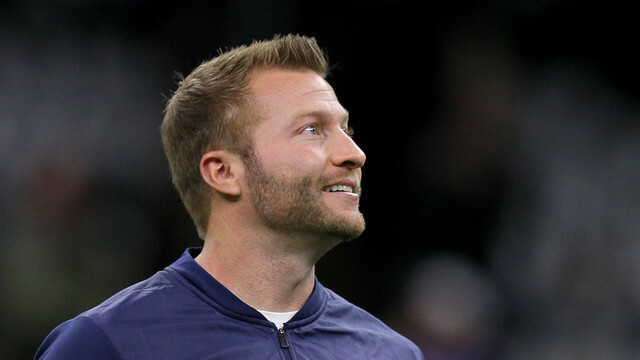 Head coach Sean McVay (pictured below) has looked to C.J. Anderson as an understudy of late, but now pledges a heavier workload for a rejuvenated Gurley. Remember, after similar regular-season injury concerns, this battering Ram bounced back in the Divisional Round against Dallas to skin the Cowboys for 115 rushing yards and one touchdown off 16 carries. Back him to bookend the Rams' Super Bowl surge in style. Elsewhere, albeit at far shorter odds, is my props play of the night: Gerald Everett to register over 23.5 yards at 5-6 on the Betfair Sportsbook. Everett provided a timely reminder of his innate athleticism and physicality in the Conference Round against New Orleans as the clock wound down in the fourth quarter, before Greg Zuerlein's game-tying and game-winning field goals. This six-foot-three, 240-pound colossus is still learning but peaking in his poise and precision. I'd expect a fluent Goff to use this tight end sporadically over some more fashionable names. In which case, Everett can swiftly surpass a paltry 24-yard requirement. The Super Bowl is often referred to as the "Greatest Show on Earth" and you can be sure that millions of viewers around the world will be tuning in to the four-hour spectacular on Sunday evening, but the showpiece of American sport could once again be all about a man who has been there and done it all during his astonishing career. Tom Brady (below) will be appearing in his ninth Super Bowl in Atlanta, having led New England to their maiden Vince Lombardi Trophy win in 2001 under the leadership of legendary coach Bill Belichick, and in the subsequent two decades or so has amassed a further five winners' rings while being voted MVP on no less than four occasions. And at the age of 41 it would be no surprise to anyone if Brady produces the goods once more on Sunday because, if the Pats are to beat an impressive, not to mention young and incredibly hungry Rams team, they will need their talisman to turn-in another match-winning performance - and few would back against him at 11/10 to be named Super Bowl MVP for a fifth time. Until Super Bowl LII's loss to the Eagles, the Patriots had never been involved in a season decider with a winning margin greater than a touchdown. Adam Vinatieri's reputation is founded on the rock-solid resolve required to keep your head when all around are losing theirs, with his two Super Bowl-winning kicks in Patriot colours, one against the Rams, still the highlights of his 22-year career. Greg 'The Leg' Zuerlein gave last Sunday's overtime 57-yard clincher in New Orleans enough welly to clear the crossbar from outer space. His opposite number in this match-up, Stephen Gostkowski, is among the most metronomic kickers in the league - you don't last in New England if you're not. The likelihood is this game comes down to the finest margins, and such games are usually decided by who holds the ball last and whose kicker holds their nerve. There are two Tri-Bet markets for you to take to cash in on this. Either team to win by seven points or less is 5/6 and ought to be nailed-on as I cannot see either of these teams allowing a blowout. If you think this game will be a real nail-biter, then Either team by three or less at 11/4 is worth taking. Then you can sit back and focus on the two guys in the game with the most thankless job in sport. 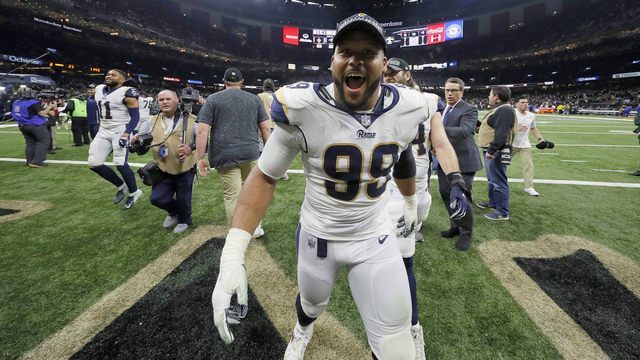 Elsewhere, Aaron Donald at 20/1 for Super Bowl MVP would be my choice at a big price. We all know quarterbacks have the advantage in this market, but defensive players have taken the award a couple of times in the last decade, and the Rams' star pass rusher (pictured below) is the most destructive player in the league. If he gets on Brady's trail it could decide the game. Finally, for a touchdown interest on the Pats side, James Develin is a name I cannot resist at appropriately bulky prices. 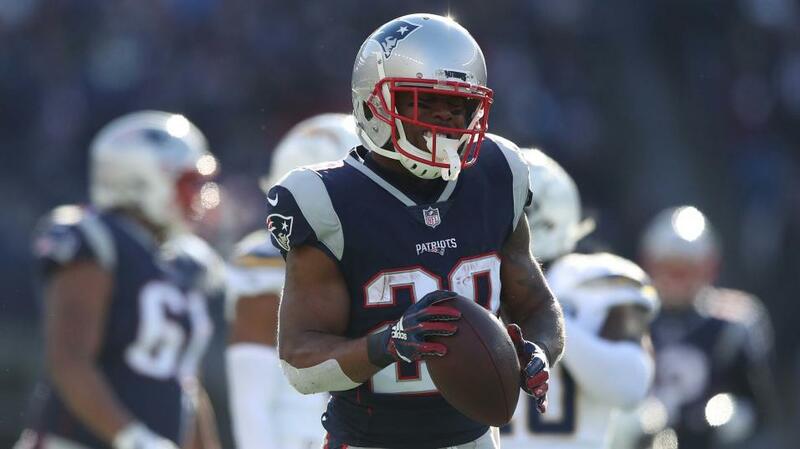 The full back will get three or four touches in the game at most, and New England's range of backs doesn't help, but he is exactly the kind of player Belichick and Brady will love to use on a trick play or to catch the Rams' defence off guard at the goal line, so at 60/1 for the first score, and 12/1 to get in at any time, he's worth a very small stake. It may be a little simplistic to say, but this year's Super Bowl will probably come down to who runs the ball better, the Rams or the Pats? Like many others, I'm expecting a run style game for the first half before it all opens up in the second half, or one of the teams have to go chasing. Obviously, the Rams have superstar Todd Gurley as the cowbell in the backfield, but he does not appear to be fully healthy and CJ Anderson may eat into his yards. 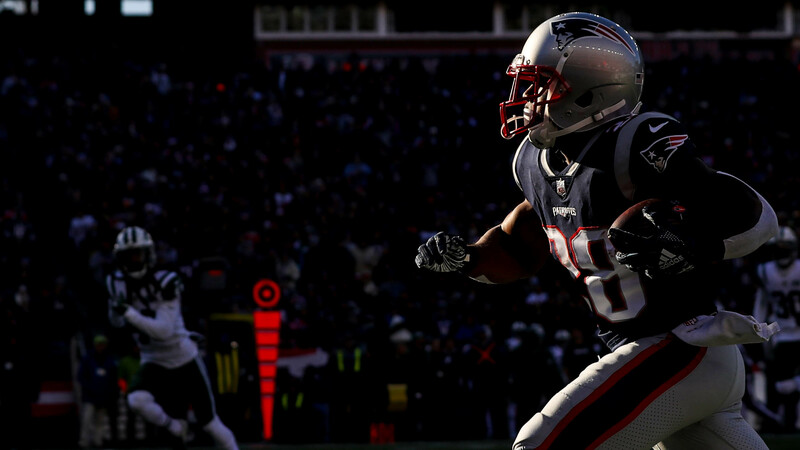 The Pats have a not-so-secret weapon in the shape of James White. My man bagged 11 touchdowns during the regular season, but it was his work as both a rusher and receiver that really caught the eye. This double threat means he is a feature at every snap, and deadly at screen passes which you must assume the Pats will use. In the Divisional win over the Chargers he grabbed 15 passes from Tom Brady. The Rams struggled against the run in the regular season, but seem to have changed that around in the play-offs. After limiting Ezekiel Elliott to rushing for only 47 yards in the Divisional Round, the Rams followed that in the NFC Championship by allowing Mark Ingram and Alvin Kamara to combine for just 46 rushing yards. However, no one is better than the Pats at spotting weaknesses in a team and I expect Brady and Belichick to have a plan with White front and centre. His combined rushing and receiving line is 64.5 on the Betfair Sportsbook. I fully expect him to go over that and 13/8 about anytime TD is also worth a look.